Brand Me! - The 1% Edge: The Easiest Success Advice Ever - STOP! The Easiest Success Advice Ever - STOP! Ok...you may not have noticed, but it's almost the end of March. "Whaaaat?" you say....yep! Boy does time go by fast. In fact it goes so fast, sometimes we need to stop! When you think of success and getting things done it implies a sense of motion - a sense of motion forward. Yet, in order to achieve the kind of success we want, being able to STOP is essential. Considering stopping an essential time management skill. Now, I bet you know some people who have a hard time with that. They can't stop eating bad foods, staying on line too long or being in bad relationships. Ok that list is for another post. This post is to ask us to consider the value of stopping. So, ask yourself what do you need to stop - even for a moment - to get more of what you want. I suggest you make a list right now, in your head or on paper, of things right now you know you need to stop. Then look at them, consider their impact and make adjustments accordingly. 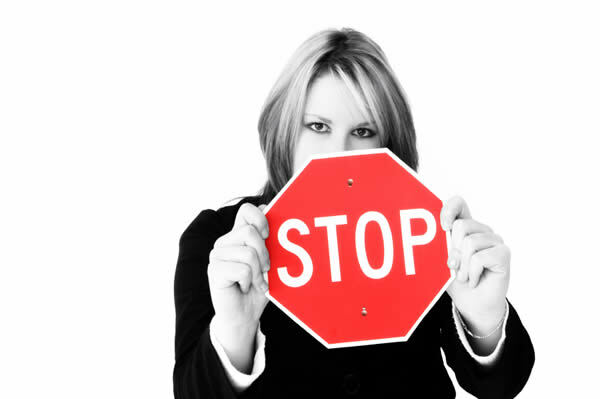 Additionally, I recommend you build stopping into your schedule; create a stopping plan. I know this sounds crazy, but I've been trying to plan a real vacation for months. I can see now that because it wasn't built into my schedule, "essential stuff" just keeps coming up. I've discovered stopping requires thought, planning, and commitment. So what would you say are the benefits of stopping...and in what contexts? I've decided that stopping is essential to being happy, having more balance, being more creative, having more energy for the work I enjoy, clarity...and the list goes on. Create your own list and learn to leverage stopping to get more of what you want! Great and practical advice JoAnn. You are right,if we keep reacting to all that is on our calendar, we will miss important things. Vacations, exercise time, time with family and friends and more. It takes intention and purpose to design a great life. We really do need to stop on a regular basis, assess and plan.